In my family, a holiday dinner without green been casserole is like a holiday dinner without turkey or ham. 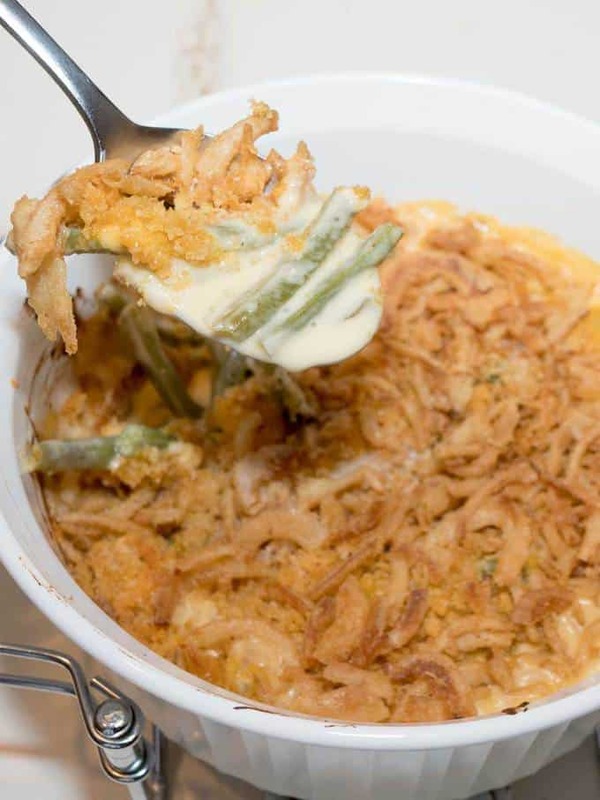 What if you could make a grown-up version of green bean casserole without the proverbial cream of mushroom soup? Well, you can. I thought that I would share this made-from-scratch casserole that uses fresh green beans instead of canned, and leaves the all-too-familiar cream of mushroom soup in the pantry! 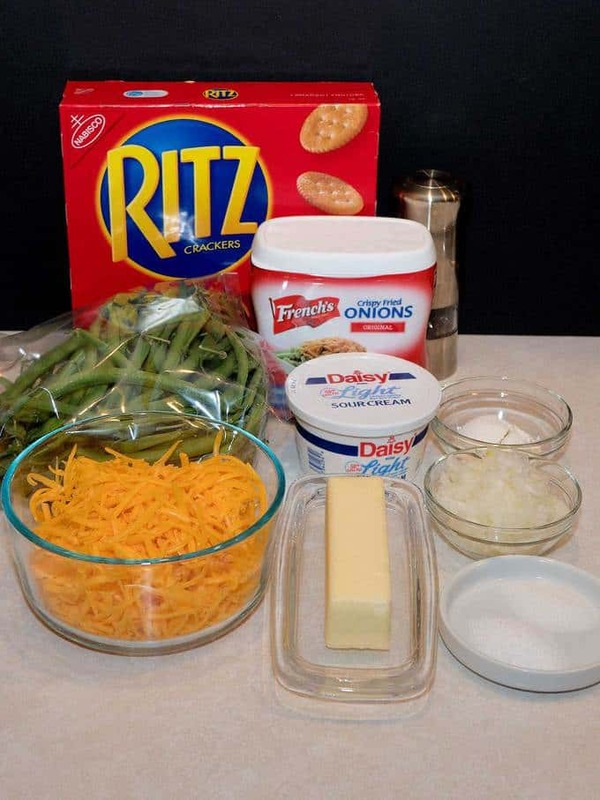 I used the following ingredients for this delicious holiday mainstay: Fresh green beans, unsalted butter, onions, flour, sour cream, cheddar cheese, milk, salt, freshly ground black pepper, sugar, crushed Ritz crackers, and French’s crispy fried onions (sorry – I couldn’t help myself on this one!). For starters, I steamed the fresh green beans for about 12 minutes, until they were still a bit crisp. I knew that there would be more cooking once the casserole went into the oven, so I didn’t want to overdo it with the steaming. While the beans were cooling, I sautéed the onions in some melted butter over medium heat until they softened, about 10 minutes. Then, I added some flour, and stirred to combine the flour with the onions. I added the sour cream, some of the cheese, milk, salt, pepper, and sugar to the onion mixture, and cooked it over medium heat until the cheese melted. This took about 5 minutes. Next, I added the green beans, and stirred to combine everything. 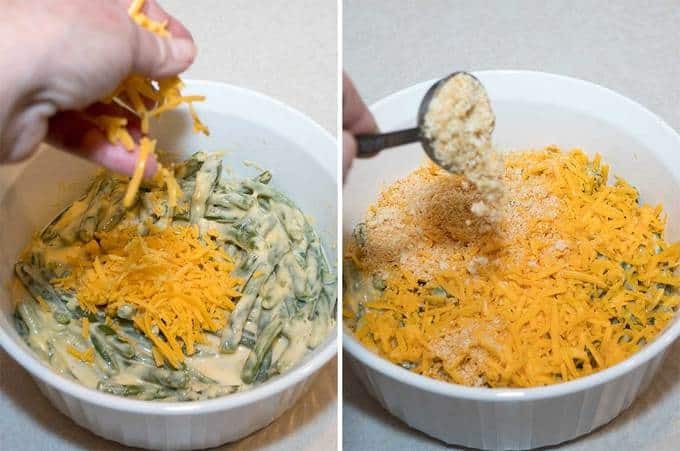 I dumped the green bean mixture into a casserole dish, and sprinkled on some more shredded cheese and Ritz cracker crumbs. I dotted the top with butter, and put it into a preheated 350° F oven for about 25 minutes. After 25 minutes, I removed the casserole from the oven and sprinkled on some French’s crispy onions. As I said before, I couldn’t help myself here! I put the casserole back in the oven for another 5 minutes or so until it was bubbly delicious! 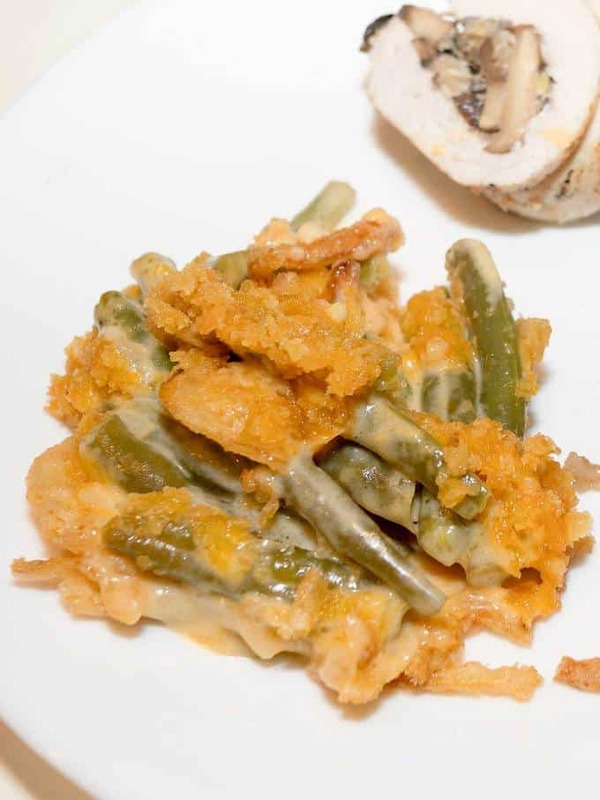 This Grown-up Green Bean Casserole is so much better than the cream of mushroom soup version. All through dinner, the Master Taste Tester kept commenting on how good it was as he spooned out another helping. This will definitely elevate your Easter or anytime feast to a different level. Yum! 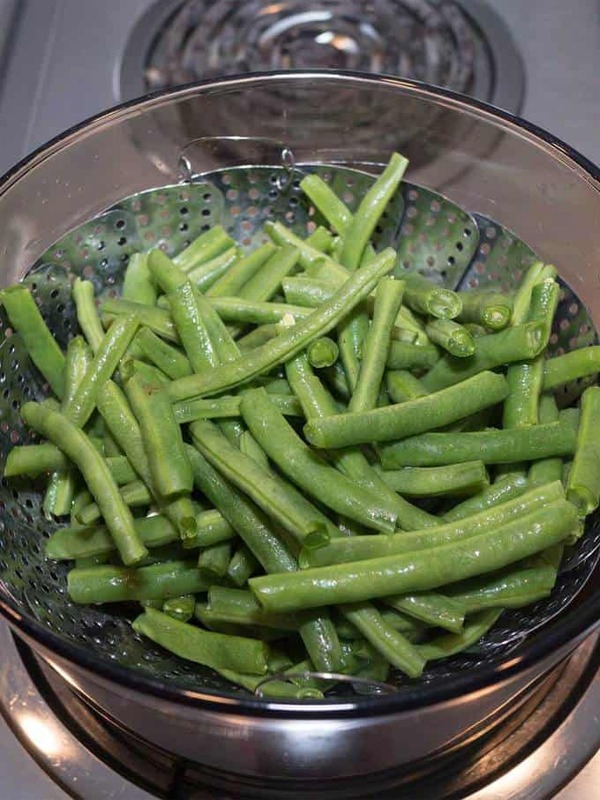 Steam green beans for 12 minutes, or until crisp tender. Do not overcook. 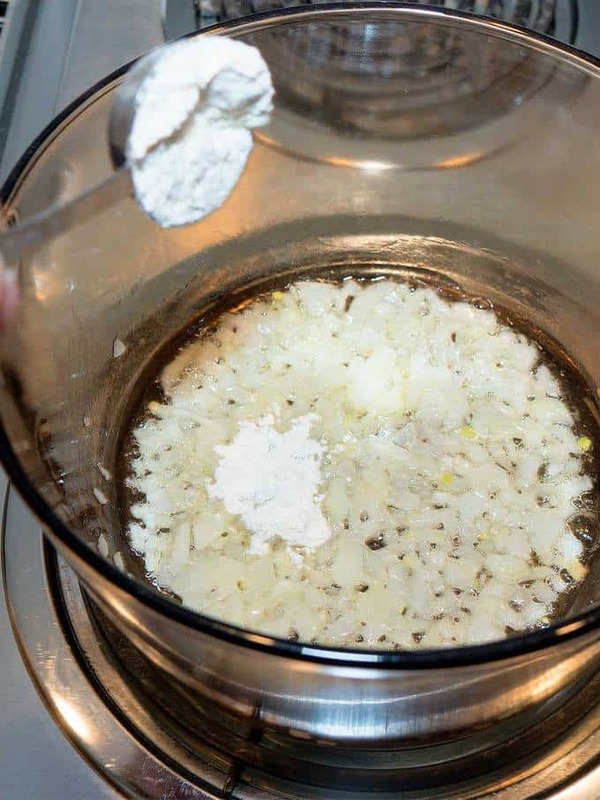 Melt 2 tablespoons butter in a large saucepan over medium heat. Add onions. sauté until tender, about 10 minutes, stirring often to prevent browning. Add flour; stir until well combined. Cook for one minute. Stir in the sour cream. 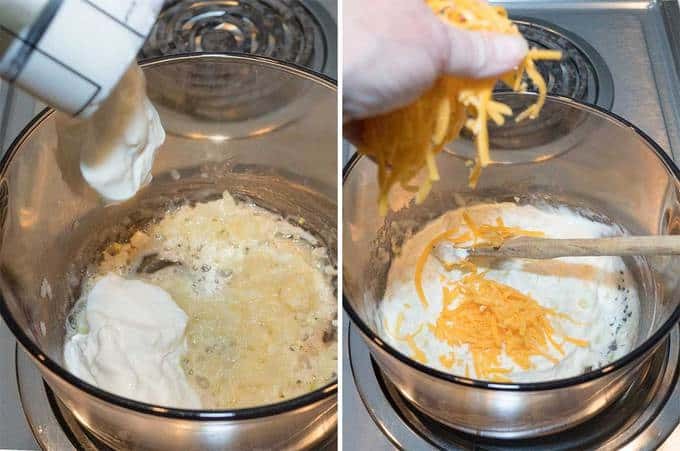 1 cup of shredded cheese, milk, salt, pepper, and sugar. Cook until cheese is melted, about 5 minutes. Add green beans, and stir to coat. Transfer the mixture to a 2 1/2 quart casserole dish. 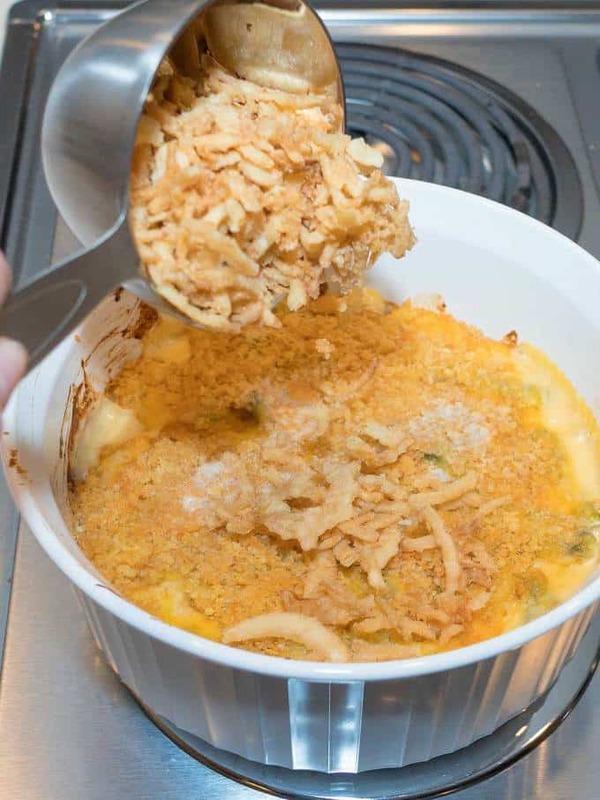 Spread shredded cheese over the top. Sprinkle on Ritz cracker crumbs. Dot with remaining tablespoon of butter. 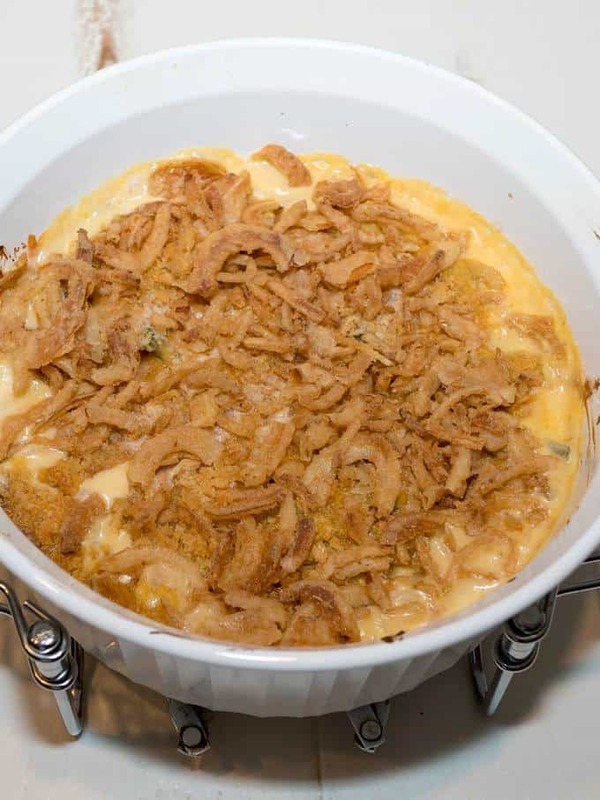 Bake for 25 minutes in preheated oven, or until the top is golden and cheese is bubbly. Remove from oven; sprinkle on French's crispy onions. Return to oven for 5 more minutes.